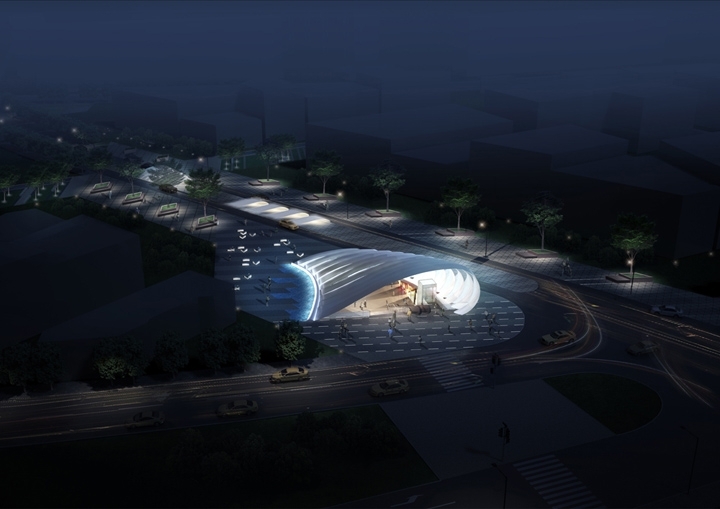 Acting as a primary metro connection between Sofia’s city centre and the airport, and the hub of a major commercial redevelopment plan, the design of Station 20 site seeks to establish clear pathways, form active connections and harmonise architecture and landscape. 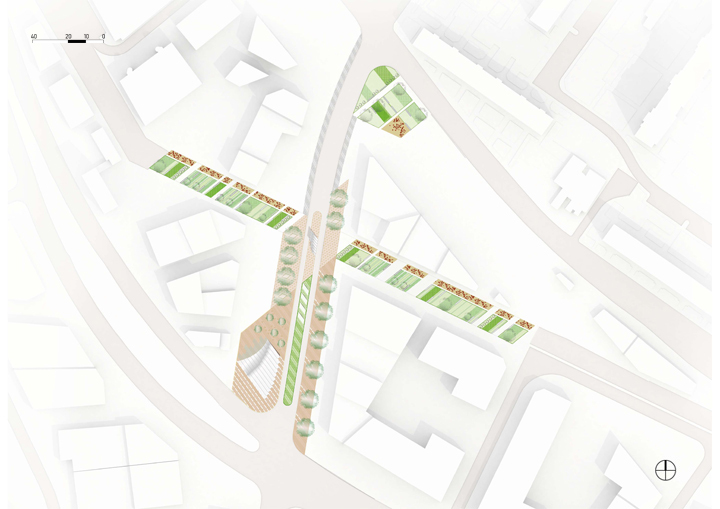 The sites linear structure is inspired by the pattern and scale of the neighbouring high-density housing blocks of the Druzhba residential quarter. 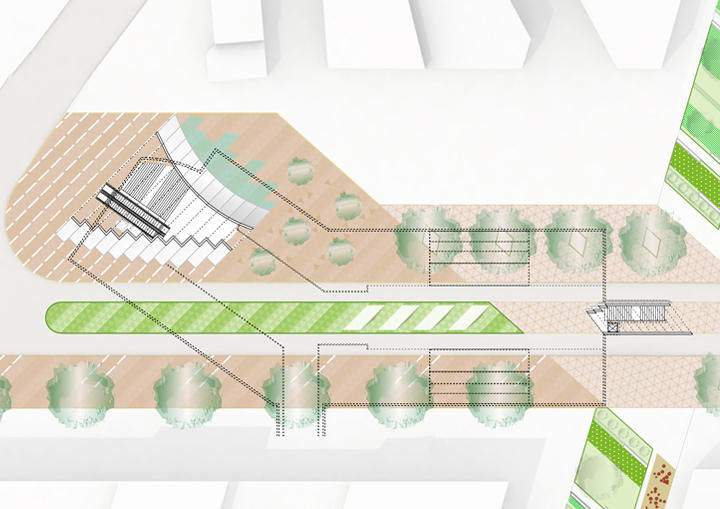 The angular direction of the landscape reflects the natural structure of the site boundary, generating a visual language that informs the division of public spaces and creates pathways, guiding pedestrian flow to and from the station. 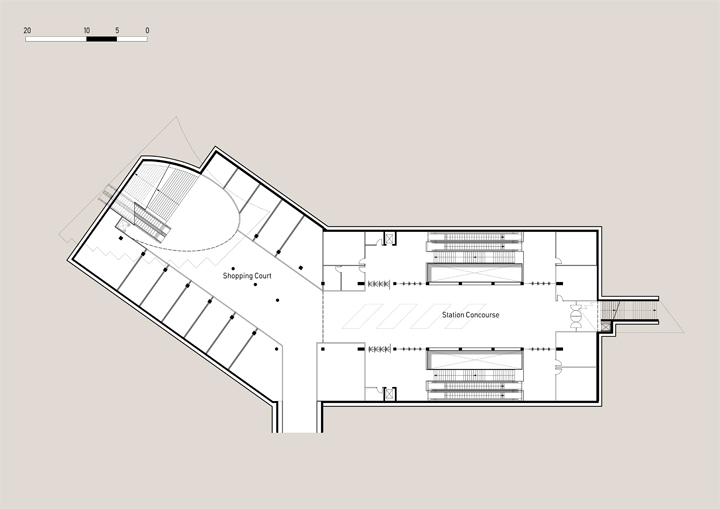 Main entry to Station 20’s underground concourse level is accessed via a vast corner plaza, providing a public space for circulation between the station services and the existing bus service infrastructure. 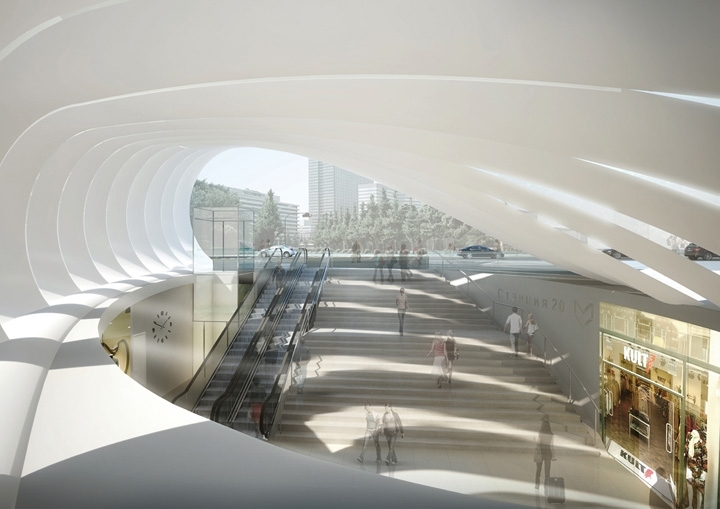 The sweeping canopy of the entrance hall emerges out of the landscape as a wave, simultaneously pulling the structure up as it pushes the plaza down into the ground to meet with the level of the concourse. Finely cast steel elements with a non-flammable canvas lining stretched underneath, create an elegant structure and a glowing interior, achieved through concealed and integrated lighting. In response to the 120,000 daily flow of passengers, the stations concourse level has been extended to accommodate the maximum passenger loads expected, thus reducing congestion through passenger control systems. 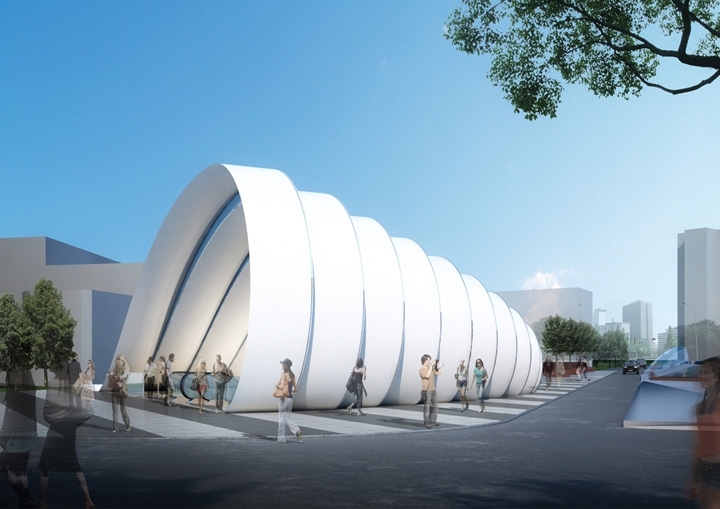 Visual connection from all entrances into the halls have been optimised to promote passenger safety, assist station security and maximise natural light. 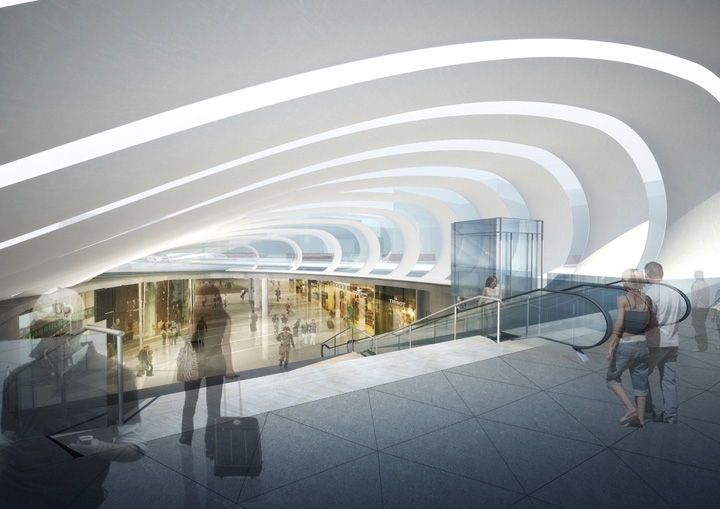 The concourse is further extended to include a shopping court, capitalising on high passenger flows, whilst providing future potential for an underpass connection from the station to the planned adjacent shopping centre development.